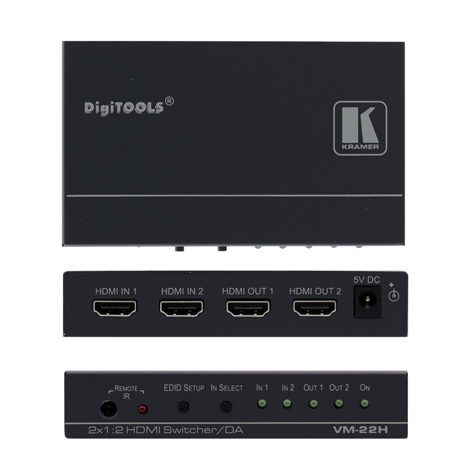 The VM-216H is a distribution amplifier for HDMI signals. It reclocks and equalizes one of 2 selectable input signals and distributes it to 8 or 16 identical outputs. 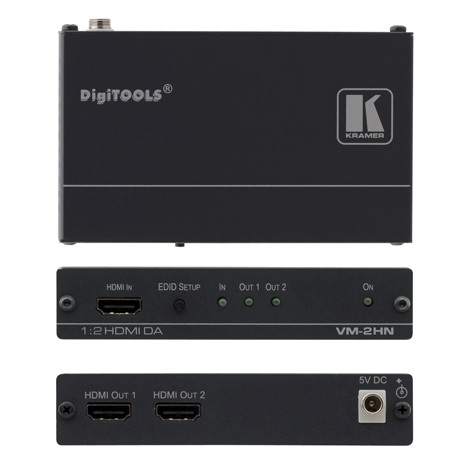 The VM-22H is a distribution amplifier for HDMI signals. The unit reclocks and equalizes one of two selectable input signals and distributes it to two identical outputs. The VM-24H is a distribution amplifier for HDMI signals. The unit reclocks and equalizes one of two selectable input signals and distributes it to four identical outputs. 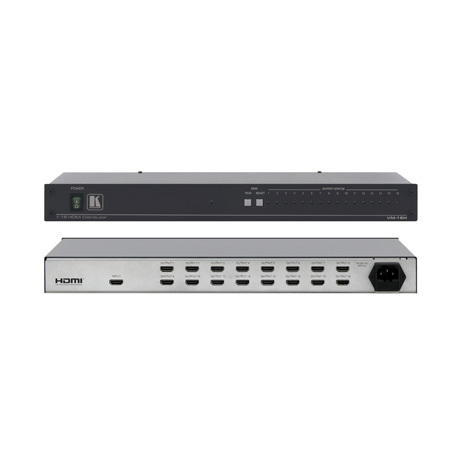 2×1:4 HDMI Switcher & Distribution Amplifier. 1:2 4K HDMI Distribution Amplifier. The VM−4HN is a distribution amplifier for HDMI signals. It reclocks and equalizes the signal and distributes it to four identical outputs. 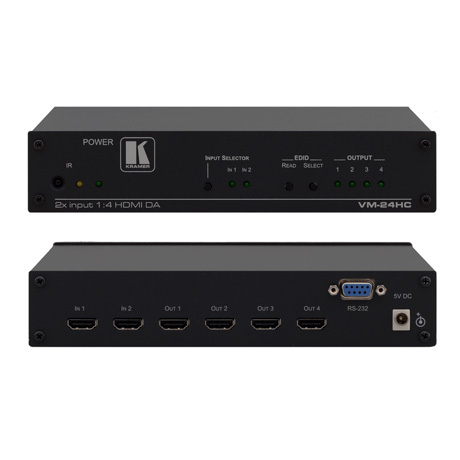 1:3 4K HDMI Distribution Amplifier. 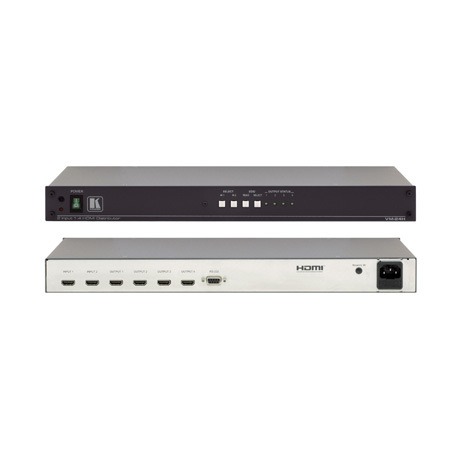 The VM−3HN is a distribution amplifier for HDMI signals. It reclocks and equalizes the signal and distributes it to three identical outputs. 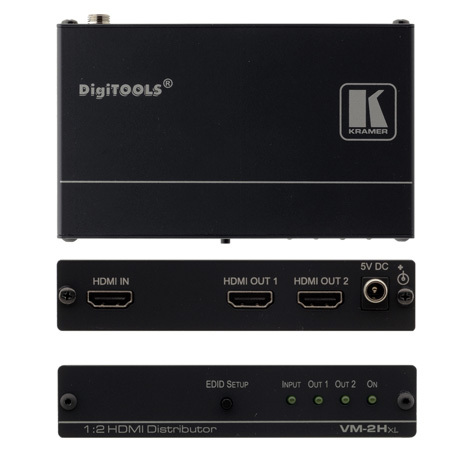 1:4 4K HDMI Distribution Amplifier.